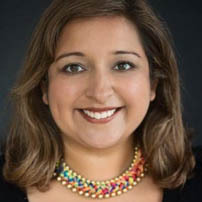 Kavitha Chahel is the Author of the Book Compassionism; Helping Business Leaders Create Engaged Teams and Happy People, which is available on Amazon, Blackwell bookstore and Waterstones. She is the founder and MD of Compassionism Ltd, offering coaching and training, focusing on developing compassionate leaders. Kavitha holds a BSc in Biochemistry and Medical Biosciences, She earned her MBA in 2003. She is a Master practitioner of NLP, a Clinical Hypnotherapist and a trained yoga teacher. She is also a Fellow of the Royal Society of Arts Manufacturing and Commerce. Kavitha has been a Non-executive director and trustee of the charity ASHA projects for over 13 years. ASHA projects is a charity that provides refuge spaces and specialist advice to South Asian women and children who are victims of domestic violence. She is an experienced business coach and company director. for nearly 20 years Kavitha has worked in business development, marketing, business leadership and strategy across the corporate, public and charitable sectors. She has worked with clients across EMEA, The Americas & APAC. Kavitha has also been a guest lecturer at the University of Middlesex and London Metropolitan University.